For this, my last post of the year, I have done a switcheroo. I wrote in my last post that my final Christmas dish, my dessert dish, was vegan white chocolate cream pots. I made cream pots. I photographed cream pots. And then at the eleventh hour, I decided what the world really needs is rich and wonderful Double Chocolate Rum Cinnamon Ice-Cream. Impulsive? Maybe. Worth it? Totally. I hope you will forgive the swap, but once I tried this ice-cream I had to share it. It is the season for giving, after all. Well, Santa’s balls, it’s Christmas. I wish I could say I am organised, but I am not and with only three days to go I don’t imagine I will be. Oh, well. The Elf is taken care of and I figure the rest will fall in to place – that’s the thing about all the holiday hoopla, it’s a little bit nonsense. I don’t think any world wars started over under-seasoned roast or miscalculated table settings. Shuffle along and there will be room for everyone. So, you eat your lunch sitting on a pile of pillows, no big. Next year it will be your funny Christmas story. I will keep this post brief as I know many of you are running around putting the final touches to your Christmas day. I hope everything is as you would have it; if it’s not, I hope you can find the humour in the mishaps and still enjoy this special time with your loved ones. I wish you all peace, love and contentment and thank you each for being a part of the Goodness journey. This year has seen my little blog grow, step by step moving towards whatever it is going to be. I signed a book deal with a lovely publisher in the States, Page Street Publishing, and I am busting to create and share some carnivore-approved fare with you all. 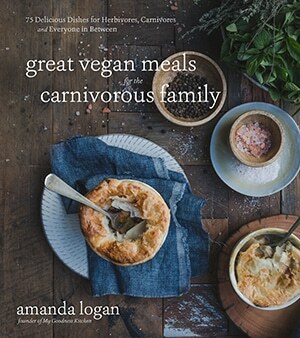 My goal for the book is for it to be a truly useful resource to families and those transitioning to a vegan diet. It can be a daunting and confusing process so I hope I can help with that some. I have always been honest; being vegan has been tricky at times. I am a foodie at my core and I remember how good cheese and cream and meat can be. Learning to cook equally as good vegan has been my lifeline…that, at knowing that I am following my heart. Sharing this space with like-hearted folk smooths the bumps too. The book, this blog, none of it would be possible without you guys. So thank you. So, without further delay, let’s make some ice-cream. 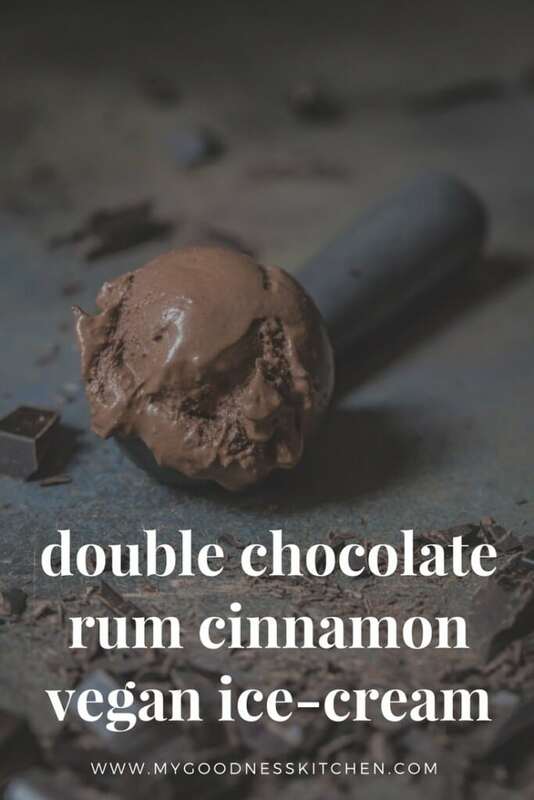 But not just any ice-cream, let’s make rich, creamy, decadent double chocolate rum cinnamon ice-cream. 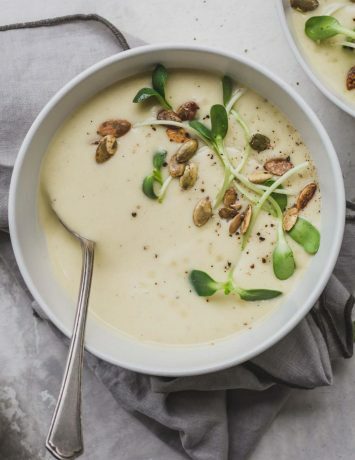 This vegan serve is quick and simple to make but special enough to feature on any festive table. With a cashew and oat milk base, dark chocolate, warm rum and a slight hint of cinnamon, this ice-cream will knock Santa’s boots off. If you love chocolate, which I do, and you love ice-cream, this bowl will blow your mind just a little. Yes, it is boozy so if you are making it for the small ones, perhaps omit the rum; this ice-cream can stand on its own without the alcohol. Being a grown-up girl, I add the rum. It warms the tongue just as the dark chocolate cream melts and the dark, chocolate shards emerge…bliss in a bowl. With a bowl of slightly boozy, very chocolatey ice-cream in hand, I sign off for the year. My Christmas table is complete. Trouble-free vegan truffles, stuffed squash with an epic gravy, smashed potatoes and roasted leeks and my double chocolate rum cinnamon ice-cream and I’m done. It is simple, fuss-free but most importantly delicious. If you try any this year, please let me know, I’d love to hear. I love hearing from you guys about everything! I’m off to write a book (I can’t believe I just said that) but I will be back in the new year. I wish you all joy and so much love. I am privileged to share this space with such lovely, special folk. Merry Christmas from me, the Husband, the Elf, Scout the Dane and Walter the Little Man Dog. 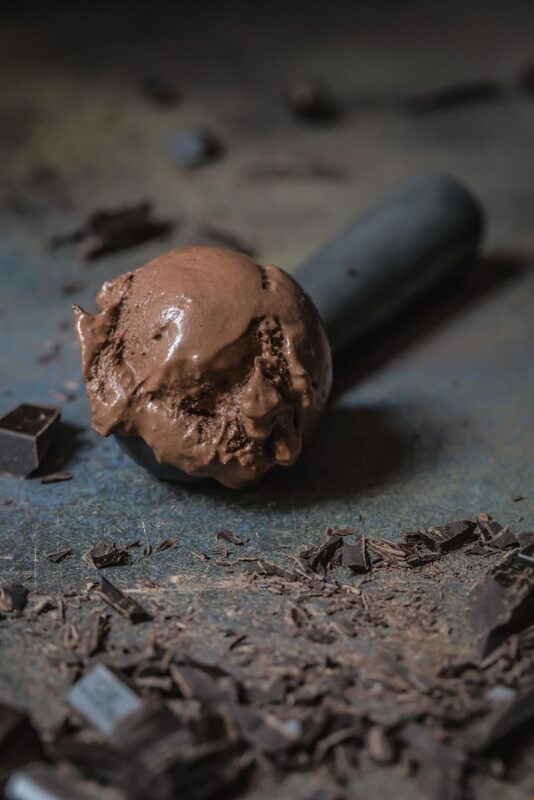 Vegan Double Chocolate Rum Cinnamon Ice-Cream made with a cashew base, rich chocolate and warming rum and cinnamon. Place your ice-cream machine bowl in the freezer the night before to freeze overnight. Combine the cashews and water in a blender and blend until smooth. 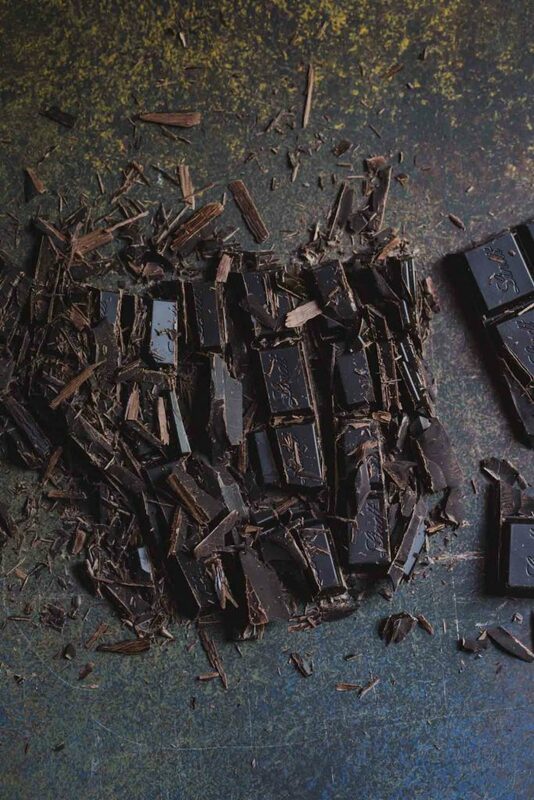 Add all the ingredients except the shaved chocolate and blend until completely combined and smooth. Pour the ice-cream in to a container and place in the fridge and allow to chill completely for at least two hours. Place the frozen ice-cream machine bowl in the machine and pour in the chilled ice-cream base. Churn as per the machine's instructions until desired consistency. Just before the ice-cream is ready, sprinkle in the shaved dark chocolate and allow the machine to fold through. Served immediately or spoon in to a freezer-proof container and place in the freezer, covered, to set more. 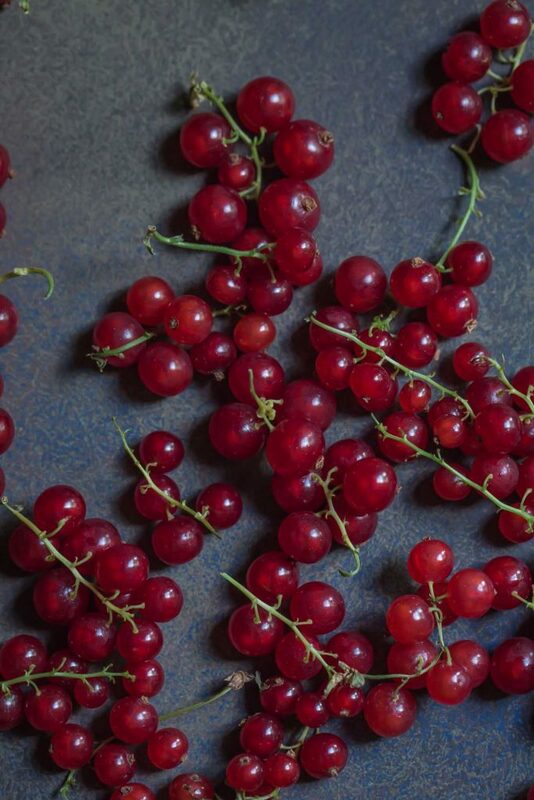 Nice food and pictures! !I Love this sharing ,thank you!Wish you a Merry Christmas ! !